← Tu as été formé où? 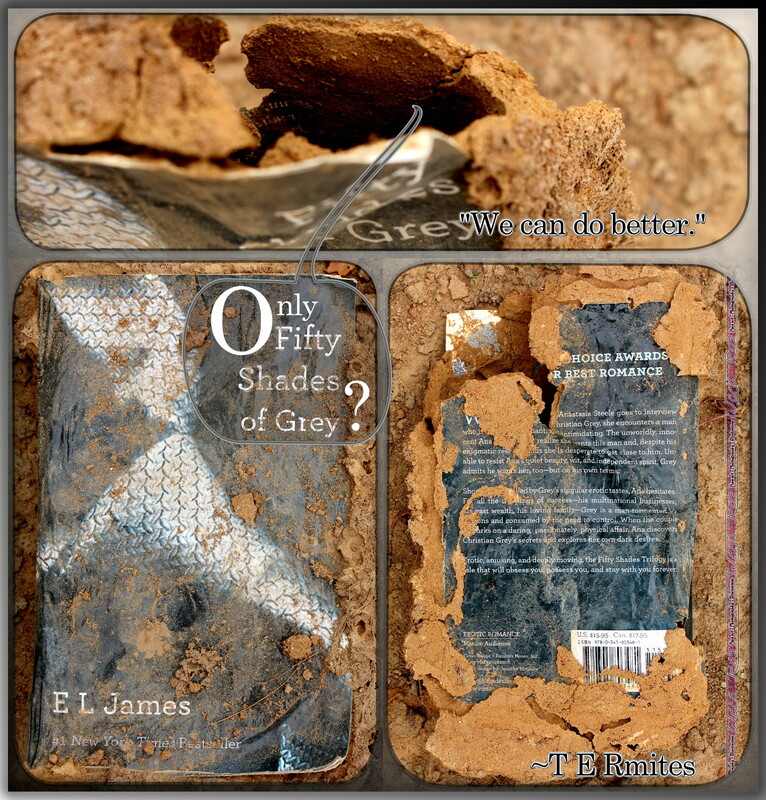 I found E L James’s book(s) in this condition on a book-shelf. The others were less recognizable. T E Rmites can be tough literary critics. Image | This entry was posted in Photography, Social Commentary / Other, Weekly Comics and tagged 50 shades of grey, termites. Bookmark the permalink.